1.Wood materials, natural, safe, non-toxic side effects. 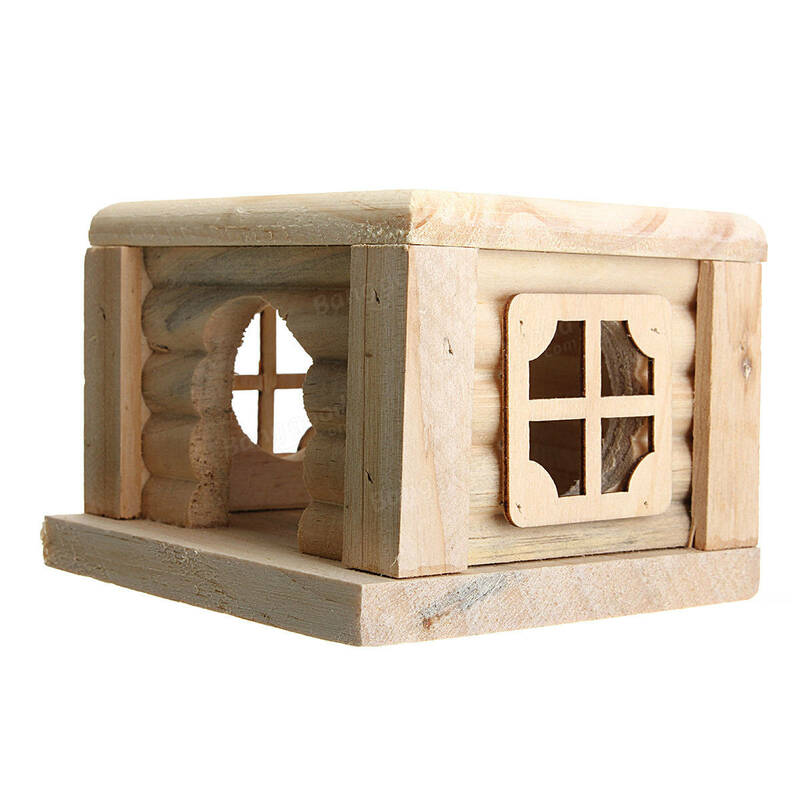 2.Chalet using the front door, side window design, bright, cute appearance.The top can be opened, cleaning more convenient. 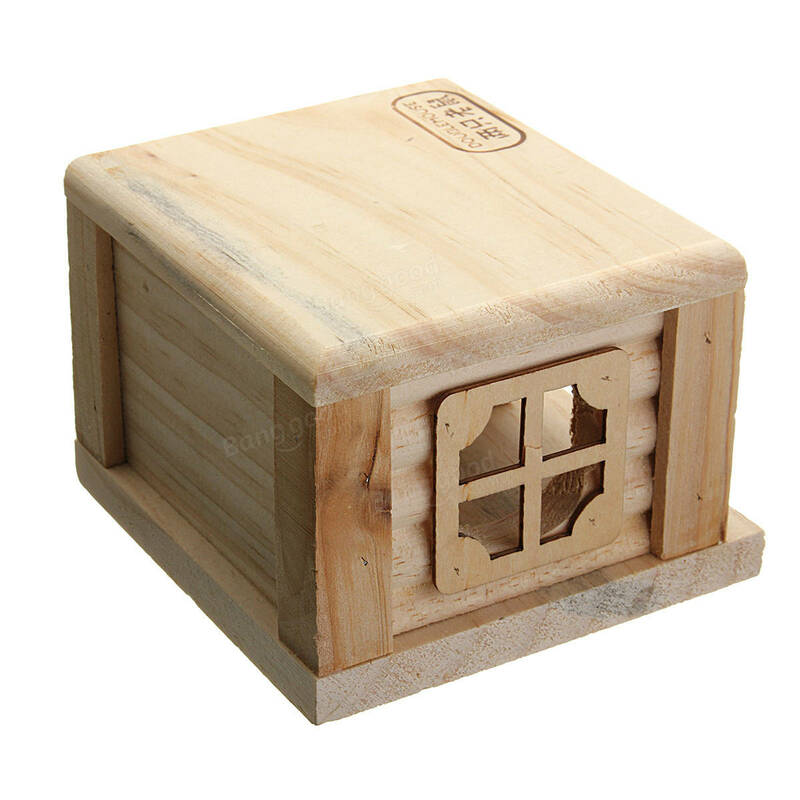 3.Suitable for all hamsters, it can be put in the larger hamster cage or sorting box. 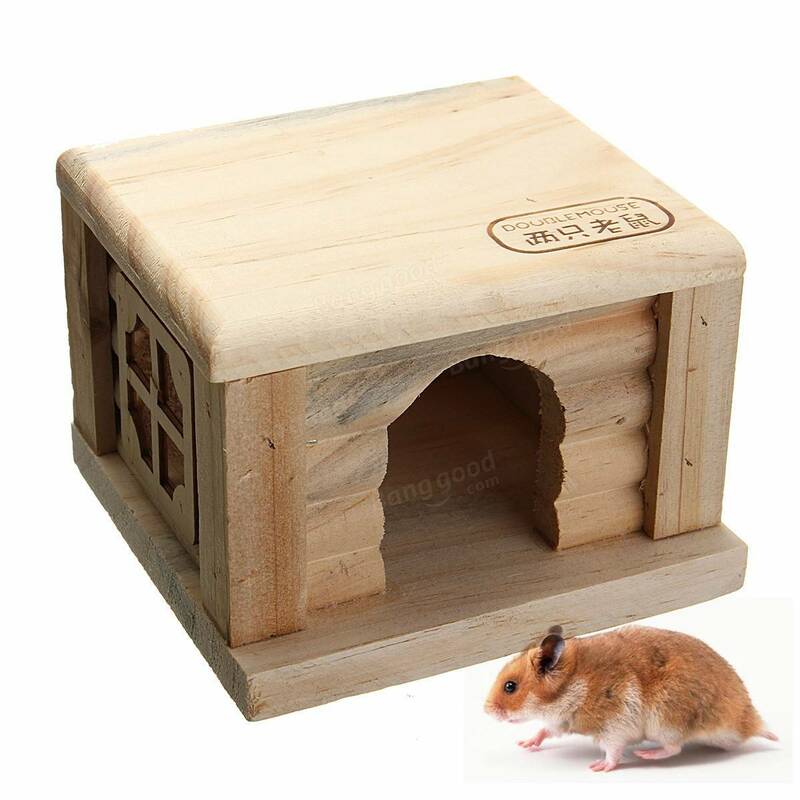 4.Wood toy hamster hamsters developed specifically for wood products, wooden products will slightly wood cracks, but does not affect the use, you can rest assured that your baby to do the training.